Rigsby’s Kitchen is somewhere to go for lunch when you want to be able to hear your lunch companion and have excellent food and service. It would be a perfect venue for a lunch meeting and seating is always immediate. 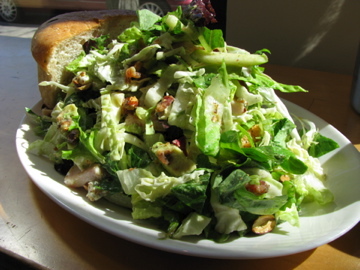 Although Rigsby’s can be an expensive choice for dinner, they are excellent value for lunch, particularly the blue plate special, where you get soup or a salad and half a sandwich or pasta dish. The breads are excellent (they have their own bakery in the Short North) and keep hunger at bay while you wait. Deepwood might be pushing the boundary of the Short North but it is worth the extra walk south (it is opposite the convention center, just past the Greek Orthodox Cathedral). Deepwood, now just into its second year, has an excellent happy hour including whisky flights, cocktail specials and some fantastic food. On our recent trip we enjoyed oysters on the half shell, mussels and french fries, a wonderful selection of charcuterie and their home baked breads. Even though we were eating at the bar we were given an amuse bouche. Links: Deepwood website; Beer tasting dinner at Deepwood; CMH Gourmand review of dinner at Deepwood. The Burgundy Room is an excellent choice for oenophiles or someone wanting a late night snack in a refined yet relaxed atmosphere. My last trip there I had the cheese plate with an accompanying wine flight. Our servers knowledge of the cheeses (and the ice cream flavors) offered was encyclopedic and his enthusiasm contagious. There is a good range of hot and cold tapas style plates and always something enticing. It is useful to know that the Burgundy Room is also a wine shop and sells bottles at state minimum prices. 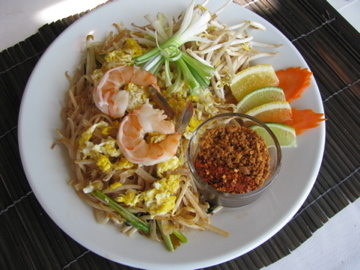 Nida’s Thai on High opened last fall and is a popular neighborhood spot. Good for a quick bite, or for lingering over a cocktail. Service can be slow but it saves a trek to Refugee Road when you want a Thai-fix. Nida’s also has a decent range of sushi and some interesting cocktails. My favorite is the Isaan Spritzer with lime and peanut syrup. Among our favorite dishes are the Tom Yum fried rice and the beef salad. Alive Review of Nida’s. 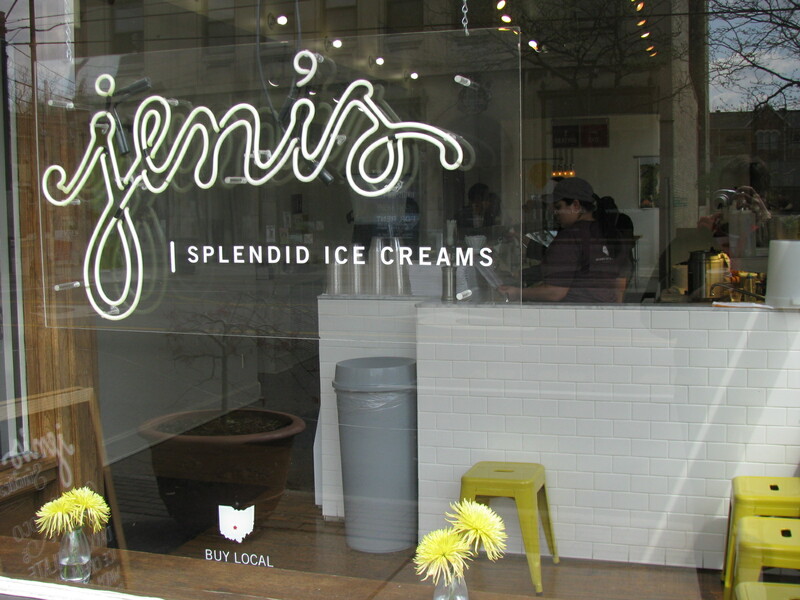 Jeni’s now has several Columbus branches but it certainly has cult following in the Short North. It is our most common dessert destination, and I have been know to head there for an mid-afternoon pick-me-up. As well as their ice cream creations, they also serve french press pots of Stauf’s coffee. Everyone has a favorite flavor, or flavor combination. The sundaes are devilishly delicious. Seasonal specials come and go, and it is tempting to stock pile a few pints as your favorite seasonal flavor as it nears the end of its run. I can’t wait until the Mother’s day Brioche with Blackcurrant Jam makes a reappearance. 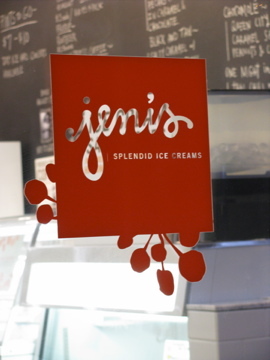 Jeni’s website. You can’t help but love the warm atmosphere at Liz Lessner’s establishments Surly Girl and Betty’s. Eclectic decor, menus and drinks are hallmarks. 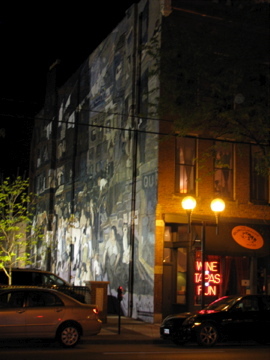 Recently Dirty Frank’s has lured me away from the Short North, but Surly Girl is my preference for cold winter nights. There is a great beer selection, as well as the always novel cocktail list (for example an Easter cocktail with a floating peep!) and a couple of beers and some Frito pies make for a fun evening with friends. Surly Girl Website & Betty’s Website. I’m not sure what will become of Details with the departure of Chef Rosendale. 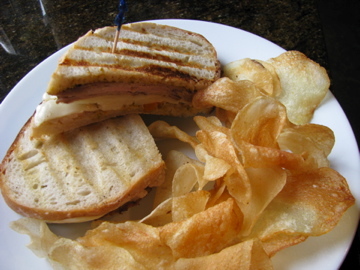 Recently they have been serving the Rosendales Bistro menu in Details, a great shame. Hopefully the awesome Tuna Tar Tar Taco Tuesdays will reappear. Details was our go to place when Chef Drew Garms was in town and his Details experience, was exactly that – an experience. Since his departure our attendance has dwindled, but Details does have one of the best cocktail lists around. Details Website. CMH Magazine article about Details. Slightly off the beaten track (on Pearl Street) and often overlooked, Tasi is another good place for breakfast or lunch. I go there mainly to buy their bread, which comes from the Eleni Christina bakery who also supply Rigsby’s. 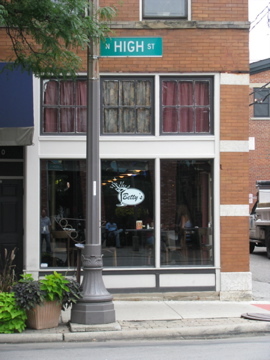 All three establishments are part of the same family, Tasi is another Rigsby venture, is named after Kent Rigsby’s wife. Tasi Website. 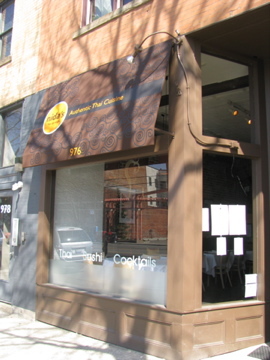 Another frequent Short North destination is Zen Cha. I usually go for a bubble tea fix (the not too sweet Taro is my favorite), but I also love their fruit teas and there is a tea to suit every mood, season or weather. The staff are knowledgeable and the atmosphere definitely unhurried. Zen Cha also serve food and it is a popular brunch location with some less common offerings such as okonomiyaki. Zen Cha Website. Good Post B. And the proximity to Highland Estates and HW Manor can’t be beat. Yeah, great post! 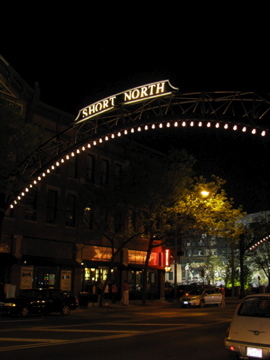 Really captures some of the best of Short North. Good job on this post! I often forget about Tasi, but they are fantastic. The $10 blue plate at Rigsby’s is one of the best lunch values in town, I agree. Diners can select a (generously proportioned) half order of any pasta on the menu plus a soup or salad. Service staff is fantastic, we especially love Tommy and Yusef (sp). 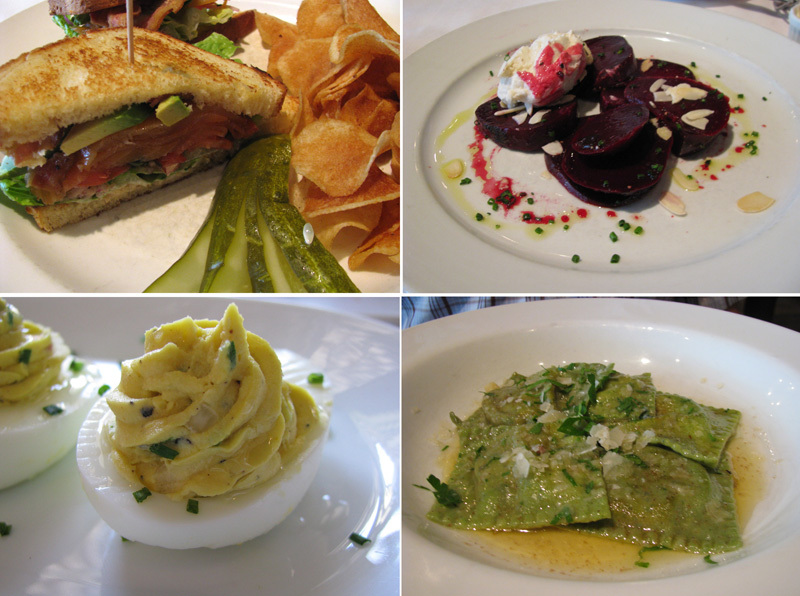 Rigsby’s is a wonderfully elegant lunch spot, not overpriced or rushed and never too formal.